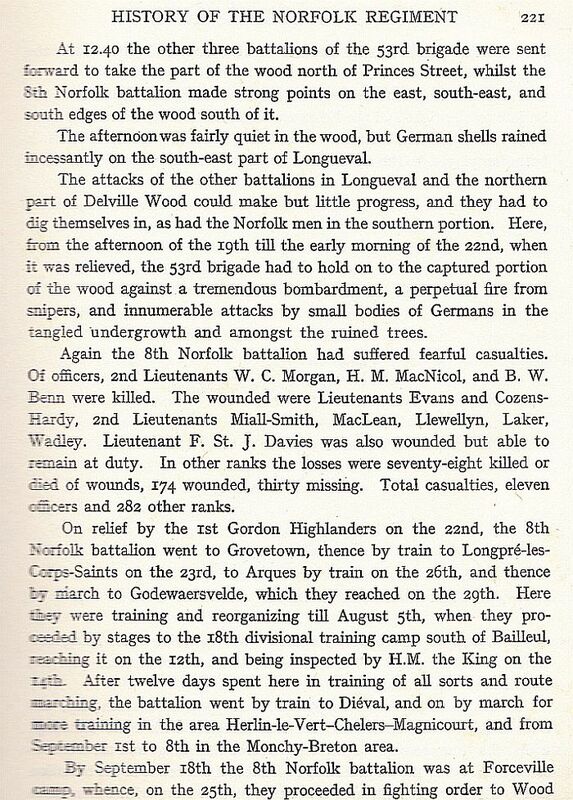 Hi researching my Gt Uncle killed at Delville Wood July 1916, anyone got the Diaries for the Somme area I can have a read of? Going over there in a fewc weeks and would like to walk his steps. Chris , he was Pte Charles James Riseborough 22396 killed 19th July1916. He is related to my late Grandmother, her brother was Percy Pull M.M. 14890 who was in 9th Norfolks , got some pics of him if you want me to send them to you? 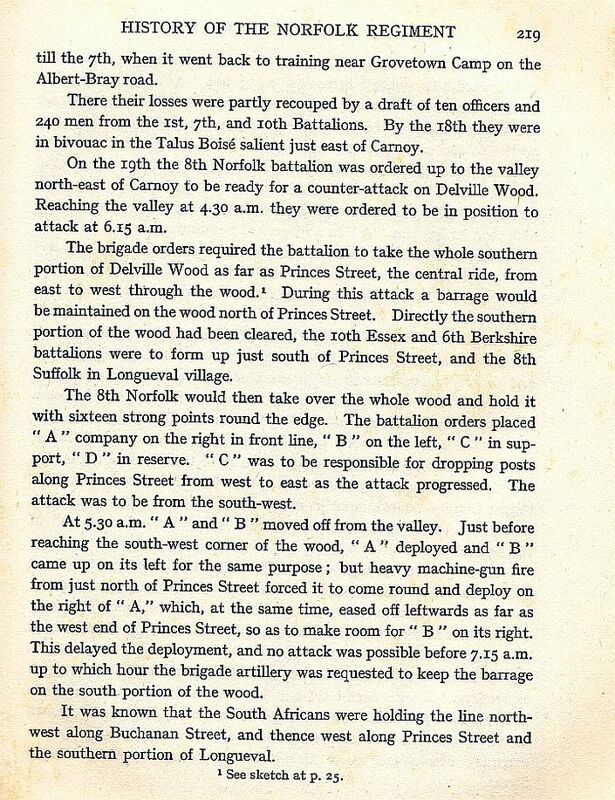 This is an old topic I know, but it has been very useful to me as my Great Uncle William Robert Burlingham born 1888, Larling, Norfolk was at Trones Wood and sustained a compound fracture of his upper leg on 20th July. I have notes from his medical records which are now available on FMP - he was in 10 att. 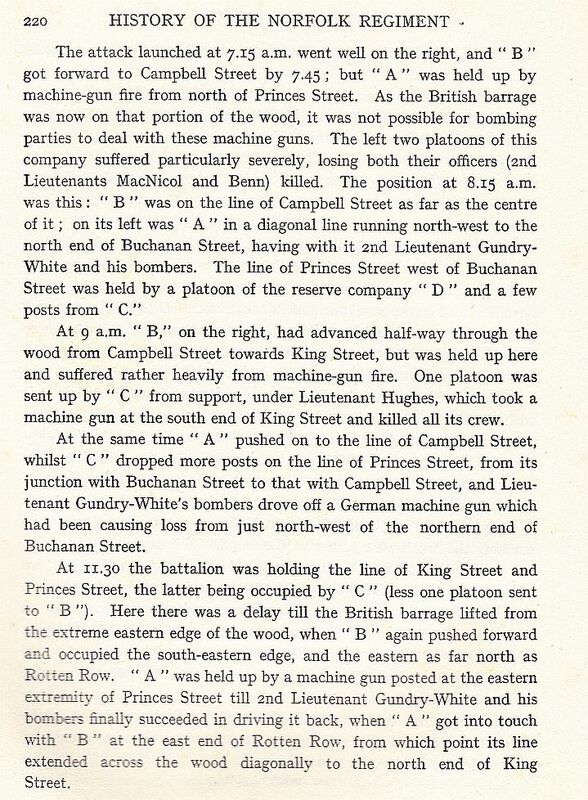 * Battalion D company so I assume he was in the reserve company of men. He was taken by No. 21 Ambulance Train to Camiers. At least, this is what I understand the record to mean, as I think the train was in France. Anyone who knows better, I would be grateful for the details! He lost his leg either in General Hospital 18 at Camiers or back in England but as he was in Camiers for 2 weeks I would have thought they would amputate there. He had a false leg and worked as a farm labourer and warrener and used to bike around perfectly with it.